If your iPhone has short battery life, shuts off unexpectedly or gets warm while charging here are some solutions on how to fix these 3 issues. Your iPhone battery could be dying quickly for a number of reasons but the first place to start your investigation is the Battery Usage. This is where you can observe a list of all your apps and see how much battery each app has been consuming for the past 24hours or the last 7 days. To do this head to Settings > Battery. If there are battery hungry apps that you can live without then just deleted them. Make sure to read the fine print underneath each app before you delete because an app might be using up a fair share of your battery resources to continually update in the background or constantly requesting your location. To disable Background Activity, head to Settings > General > Background App Refresh and you can disable it altogether or for individual apps. To disable Background Location, head to Settings > Privacy > Location Services and, you can disable it altogether or just for apps that are overusing the feature. The cause of this issue is pretty hard to pinpoint so follow these 3 steps if your iPhone keeps shutting down suddenly. 1. Make sure to check for a software update because there might be a new version of iOS that jells better with your iPhone and battery. To check for updates head to Settings > General > Software Update to see if an update is available. 2. Perform “Restore from back or Factory reset”. 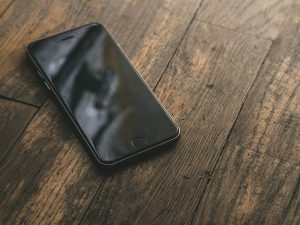 We all know how frustrating it is to set back your phone to the way you like it after a factory reset, but if you’re running the latest version of iOS you might have to reset and start fresh. You can first start by trying to restore your iPhone to the most recent backup you did on iCloud or iTunes. If that doesn’t work then you might have to do a factory reset. To perform a factory reset, head to Settings > General > Reset and then TAP Erase All Content and Settings. 3. Extreme temperature can also be blamed for your iPhone shutting down randomly. So Apple recommends that you should keep your iPhone between 32 degrees and 95 degrees Fahrenheit, with 62 to 72 degrees being the ideal comfort zone. If your battery problems continue after your factory reset, then it might be time to visit your local Genius Bar/ Repair Shop for repairs or mail your phone to Apply so that Apple can run its diagnostics to see if there is any hardware issue with your phone. You can read about Apple’s battery warranty and start a repair request HERE. If you’re using an off-brand cheap replacement charger, this might this can cause your phone to overheat to worrying temperatures while charging. Stop using it and find a suitable replacement charger. Apple recommends you use only certified third-party accessories that have the Made for iPhone/iPad/iPod logo on their packaging. I hope these tips help to improve your battery life. If you have an opinion or question about this article please comment below I would love to hear from you.